MANILA, Philippines – The National University (NU) Bulldogs had an excellent opportunity on Wednesday to end a long period of futility against their rivals, the Ateneo de Manila University Blue Eagles. The Blue Eagles have beaten the Bulldogs in 12 consecutive matches since Season 77, including three straight finals series. In Season 79, Ateneo defeated NU in brutally heartbreaking fashion, winning a pair of five-setters to secure a men's volleyball three-peat. However, the Bulldogs appeared poised to regain control of the rivalry in Season 80. They featured an intact roster full of tall and athletic players, headlined by Bryan Bagunas and James Natividad. Meanwhile, Ateneo was in flux; the Blue Eagles lost three members from last season's title team in Tony Koyfman, Rex Intal, and Josh Villanueva. 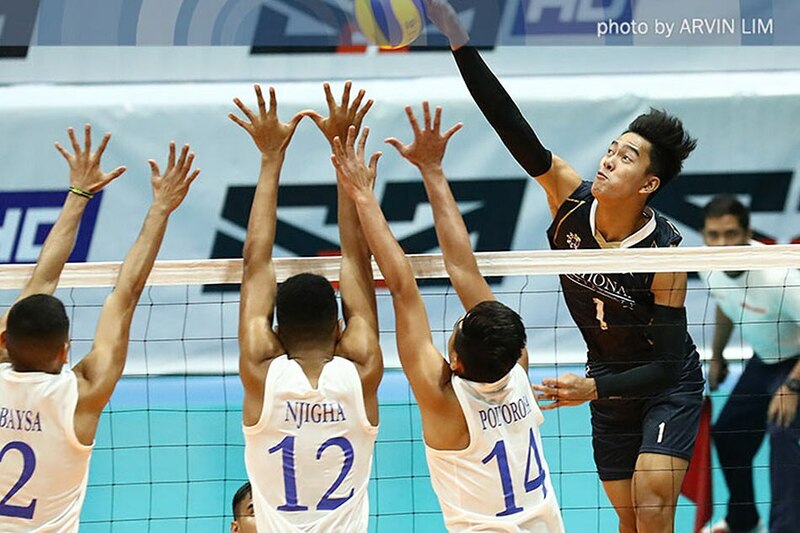 Ateneo still had reigning four-time MVP Marck Espejo, but it was clear that he would need plenty of help. In their first game of the season against Far Eastern University last Sunday, Espejo was limited to 12 points, and the Tamaraws won in straight sets. Yet even though all signs pointed to NU finally ending its 12-match losing streak against Ateneo, the Bulldogs were unable to get the job done. Espejo broke free for 24 points, and the Blue Eagles came up with a 26-24, 25-21, 17-25, 25-19 win to frustrate their rivals for the 13th straight time. "Nandoon pa rin kami," observed NU coach Dante Alinsunurin. "Medyo maganda naman tinakbo ng laro namin. Tumaas na 'yung porsyento ng atake namin." Indeed, NU had more kills, 58-53, than the Blue Eagles. Bagunas and Natividad combined for 35 points as they tried their best to match Espejo, and veteran Fauzi Ismail added 16 markers. So where did it go wrong for the Bulldogs? "Hanggang ngayon, may doubt pa rin sa kanila," admitted Alinsunurin. Those doubts were manifested in NU's errors, many of which came on the third ball. They were already ahead, 23-20, in the opening frame before Espejo went berserk at the backrow and brought the Blue Eagles back in the game. Ateneo's furious end-game rally was helped along by a bad hit from Kim Malabunga, who sent a quick attack wide despite having no blockers to deal with. Also crucial was an ace from Paulo Trinidad, as NU's reception collapsed at the worst possible time. Ateneo thus stole the opening set, 26-24, and the momentum along with it. "Nagkaka-unforced error lang kami, sa opensa pa," said Alinsunurin. "Kung nakuha namin 'yung first set, tuloy-tuloy na 'yun." "Halos down na sila (Ateneo) noon eh. Nabuhayan lang sila sa mga error namin sa palo," he added. Alinsunurin acknowledged that they squandered a good opportunity on Wednesday against an Ateneo team that was reeling from a loss to FEU. 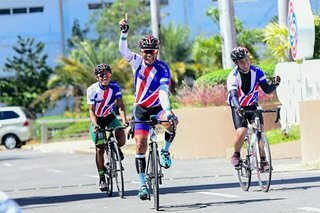 "Chance na nga namin kasi nga, kung sa tao-tao lang, mas may experience kami dapat," he said. Nevertheless, Alinsunurin chooses to stay positive. He said the Bulldogs still have plenty of work to do, and in any case, they will get another chance at the Blue Eagles in the second round. By then, he expects the Bulldogs to be playing at a higher level. More specifically, he is hopeful that their middle blockers, Malabunga and Francis Saura, will be more effective after combining for only 14 points and being outplayed by Ateneo's young quickers. "Kung mananalo kami agad, parang masyado pang maaga," said Alinsunurin. "Marami pang adjustment na pwedeng mangyari." "Swerte na din kami, kasi hindi malala 'yung talo namin," he added. "Off 'yung dalawa naming gitna. Sana, pagdating ng second round, mabago namin 'yung mindset nila kasi 'yun na lang naman ang nagiging kulang." "Medyo down pa rin sila." The Bulldogs return to action on Sunday against University of the East.